Quality feeds at affordable prices. Everything to keep the ranch running. 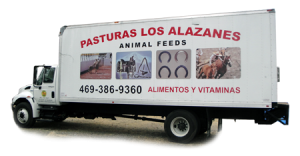 Pasturas Los Alazanes is your local farm and feed store with locations in south Dallas, Balch Springs, and Forest Hills, Texas. Our stores specialize in horse, and livestock feeds, tack, farm supplies and animal vitamins and healthcare products. 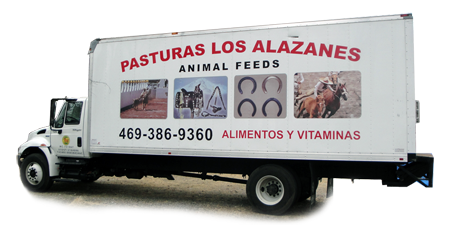 Pasturas Los Alazanes is committed to providing farmers and ranchers with quality and value. Our staff is here to serve you at our Dallas location or with our delivery services each Saturday. Monday – Saturday 7:00 a.m. – 9:00 p.m.